FULL DESCRIPTION Dybles are delighted to present for sale this fantastic and very spacious five bedroom semi detached house situated on a large plot in the much sought after Teg Down area of Winchester. The property is ideally located on the outskirts of the city centre, just walking distance from the local Weeke amenities including bus stops and the Waitrose store and falling within the catchment area of the highly regarded Weeke Primary and Henry Beaufort Secondary schools. The well presented and flexible accommodation comprises on the ground floor: Entrance hall, living room, kitchen/dining room, sitting/family room, utility room and shower room. There is great scope to extend the ground floor accommodation further subject to necessary planning consents. The layout of the accommodation on this floor also lends itself to a straight forward adaption to a self contained annexe. 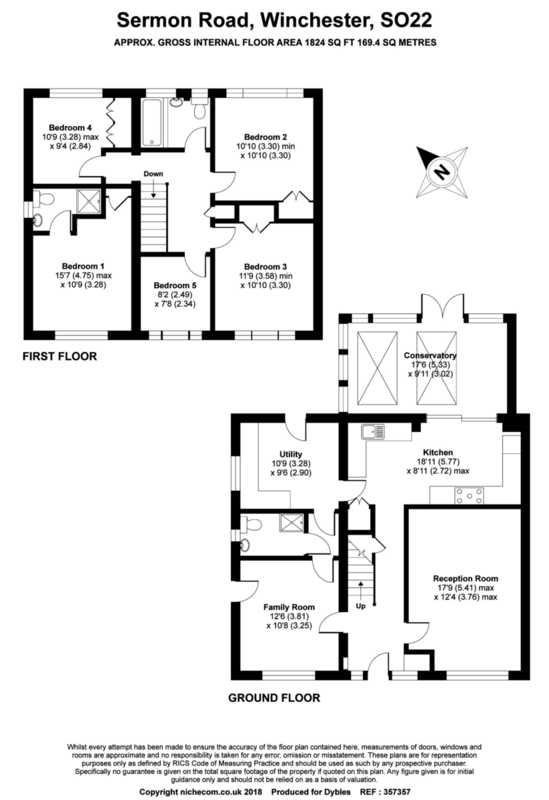 First floor: Four double bedrooms all with built in wardrobes and en-suite shower room to the master, fifth single bedroom and a family bathroom. The rear garden is of an extremely generous size mainly laid to lawn with rear vehicular access leading to an older garage. We believe this large plot and access offers the potential for development of another dwelling in the garden, again subject to necessary planning consent. To the front of the house is a large driveway affording parking for numerous vehicles. A property viewing is highly recommended to fully appreciate this excellent opportunity.